This third edition of Historical Dictionary of Indonesia contains a chronology, an introductory essay, appendixes, and an extensive bibliography. The dictionary section has over 900 cross-referenced entries on important personalities, politics, economy, foreign relations, religion, and culture. 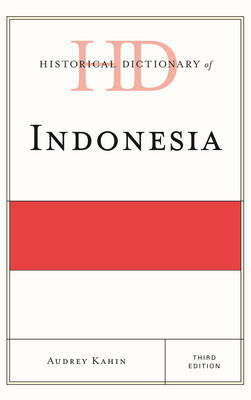 This book is an excellent access point for students, researchers, and anyone wanting to know more about Indonesia.